Delhaize has been engaging Cartamundi to develop its customer loyalty programmes on a regular basis since as long ago as 2009. Starting with the first one, which involved Disney-Pixar cards, we have designed numerous theme-based loyalty campaigns for the supermarket chain. The theme for 2018 was the farm. The BOER-DE-REIS (“Farm Journey”) campaign ran from the beginning of June until mid-August. Every 20 euros spent at Delhaize entitled the purchaser to a flowpack containing stickers that could be collected in an album, a packet of seeds for their vegetable garden or a card that could be swapped for a figurine. In addition to the collectables, Delhaize also asked us to create an informative website for the campaign. The website at www.deboerdereis.be gives visitors clear information about the duration of the campaign and about the figurines to be collected. 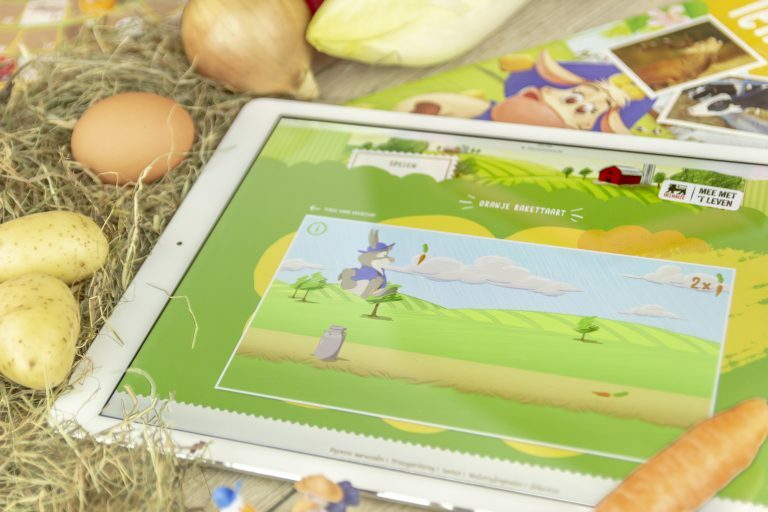 The website also features entertaining videos about the campaign, about growing fruit and vegetables and about life on the farm. 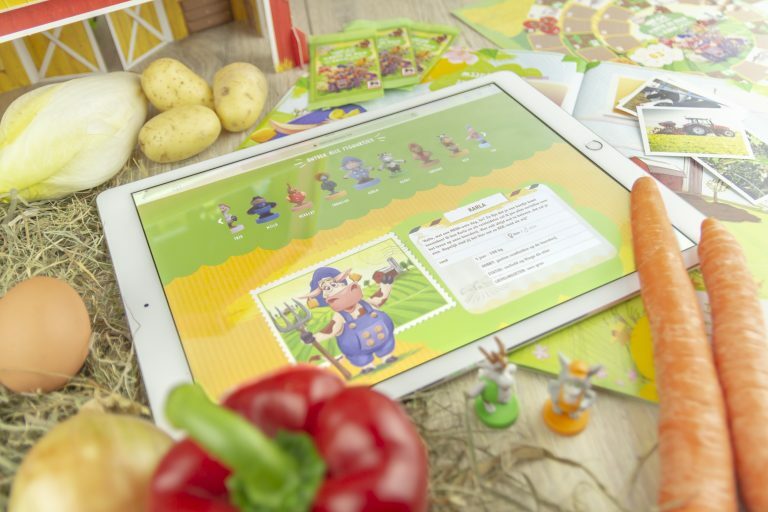 In addition to this, three games based on the farm theme can be accessed via the website. In “The Orange Rocket Cake”, Martin the rabbit has to run about, avoiding obstacles, while collecting as many carrots as he can for his orange rocket cakes. In “The Scarecrow Game”, the player (Viktor) has to make his scarecrow jump across the screen as quickly as possible to prevent the birds from taking the newly sown corn seeds. And in “Daycare Centre for Chicks”, the player must ensure that hen Corinne’s chicks do not stray from their nest by picking them up and returning them to their mother. The longer a player plays the game, the more chicks leave the nest and the more difficult it becomes. As soon as a single chick escapes, the game is over. Besides games and information, on the website there are also colouring pages available for download, as well as a seed sowing calendar, instructions for growing vegetables in containers and a recipe for delicious orange rocket soup. 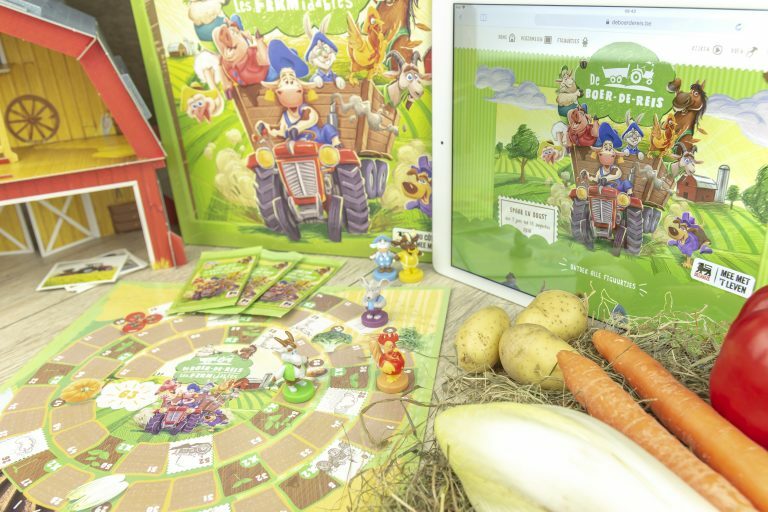 Lastly, customers can also bring the farm home with them in a box containing a barn that they could build themselves and the BOER-DE-REIS board game, for which the instructions can be downloaded from the website. To enable the campaign to reach the biggest possible audience, we made optimum use of social media, placing advertisements on Snapchat, Instagram and Facebook among others. We also made use of online bannering and launch videos, and set to work with Facebook’s Instant Experiences. 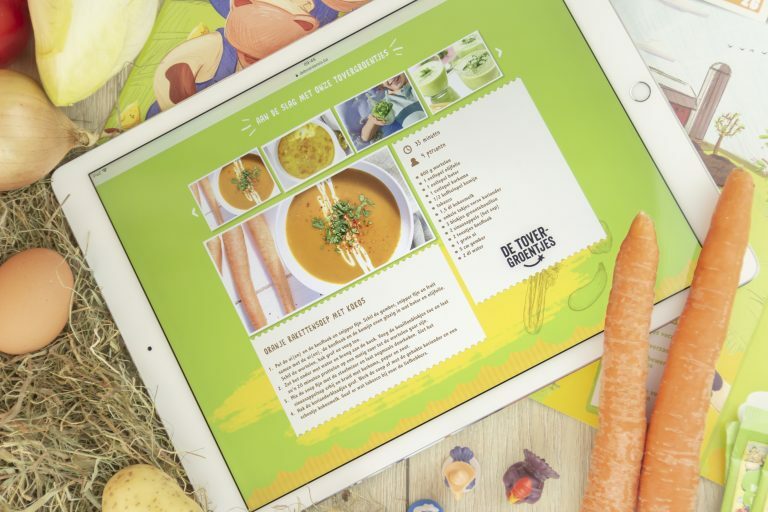 The summer campaign that Cartamundi has created for Delhaize many times now is more than a collection campaign with an accompanying website. Thanks to its versatility, creativity and educational themes, it has grown into an event that has provided children, parents and grandparents with an impetus to collect. Would you like to thank your customers for their fidelity in a way that is both fun and educational? Don’t hesitate to get in touch with Cartamundi Digital. We will be happy to listen to your wishes and transform them into a creative promotional campaign.